Manchester City FC is one of the biggest and best known football clubs in the world and part of the City Football Group with sister clubs in New York, Melbourne and Yokohama. Massive investment is being made to transform Manchester City FC into a world leader both in terms of their performance on the pitch and the match day experience. City contacted us with a clear vision of what they wanted to achieve - 'to provide their VIP and corporate hospitality guests with a World Class Guest Experience'. 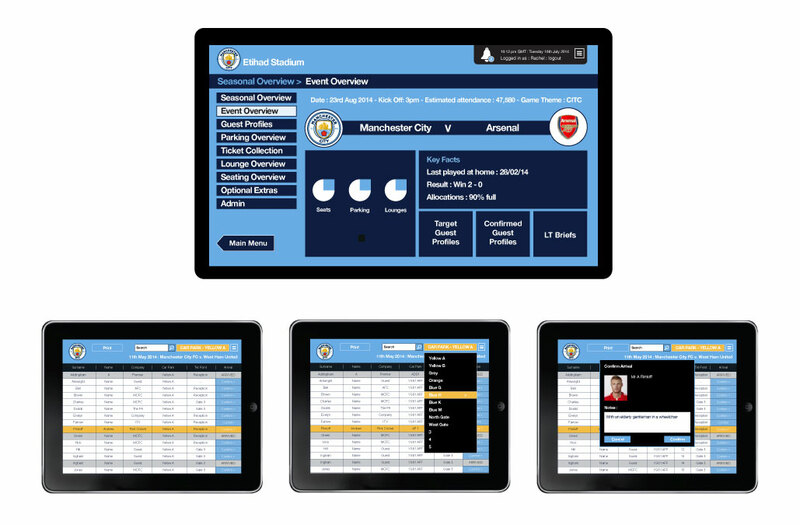 They needed an online guest list management system that allowed them to store the details of their guests and manage every aspect of their match day experience. 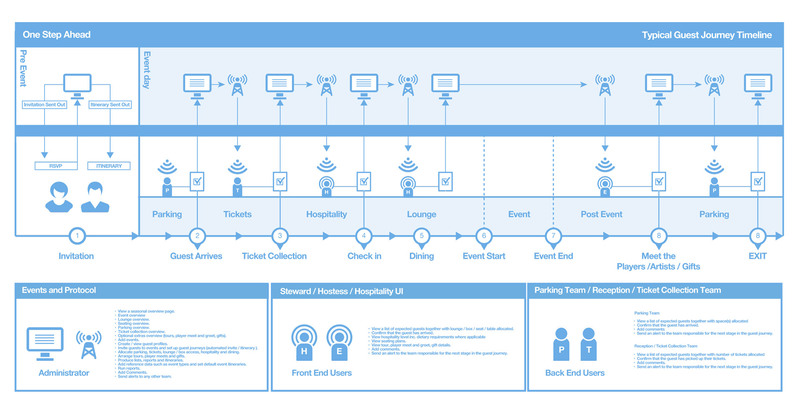 The platform needed to link the teams at each guest touchpoint with real-time information so that guests could transition smoothly through each stage of the guest journey. We worked closely with the MatchDay Operations team to define a detailed set of requirements for the system by shadowing key stakeholders and facilitating a series of user workshops with representatives from each team involved on match days. 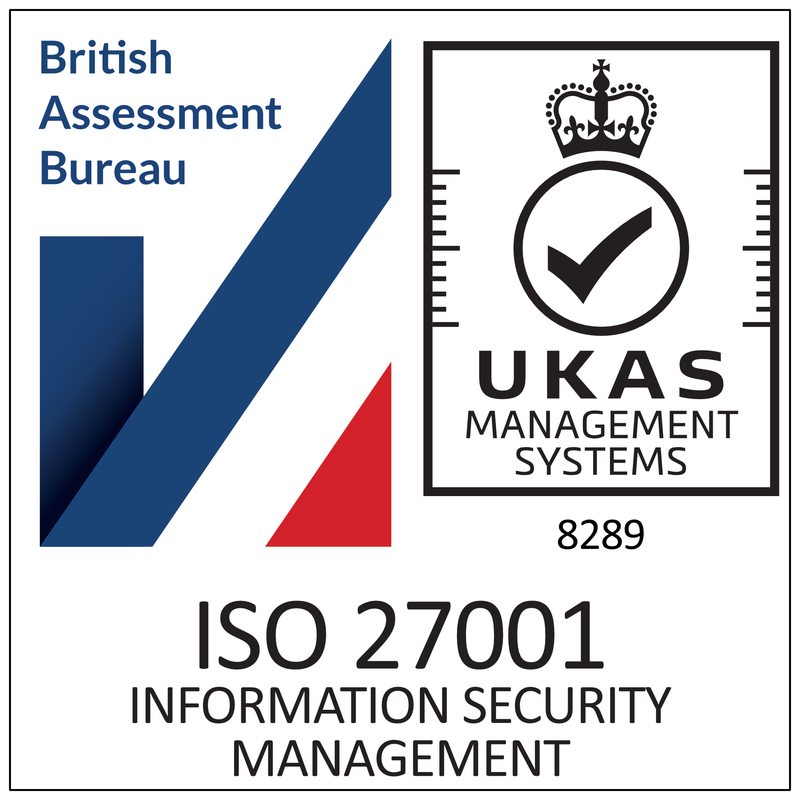 Investing enough time at this 'user needs analysis' stage was key in delivering a platform that met the requirements of the business. 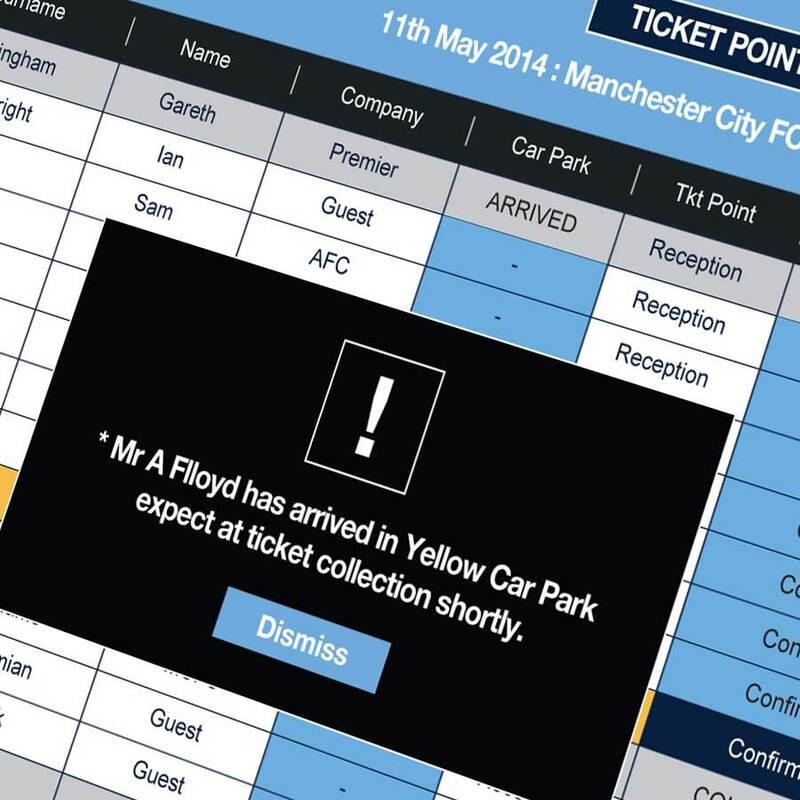 Guest touchpoints include car parks, ticket collection points and bars, restaurants and lounges with some of these on the edge of wifi signal at the Etihad stadium so extensive testing was carried out to ensure that the LG Android tablets used by the different teams could remain connected and transfer data quickly and efficiently. For the last 2 seasons, the system has been used to manage each home match with departmental allocations and guest lists administered through a central cloud-based system. Teams around the stadium confirm guest arrival at each touchpoint and add notes on their tablets. Last minute changes and messages are broadcast to each team to ensure everyone is fully up to date. Confirming arrival means that the team at the next touchpoint are ready to greet the guest when they arrive which streamlines the entire guest experience.